Edu & More Sp. z o.o. Any introduced changes shall not affect the basic principle: Edu & More does not sell and does not make available personal information and addresses of customers or users of websites or courses thereof to third parties . You have a permanent right to change your personal details or remove them from our database. 1. Using the websites belonging to Edu & More may require provision of your personal details by filling in a form or in other way. It usually concerns first name and e-mail address. In case of order forms, you will be requested to provide full personal details. 2. We require only data necessary for our website to work. Failing to fill in required data will result in lack of functionality of activities, which the data concerned. 1. Obtained data are added to our mailing list of particular newsletters. E-mail addresses are necessary for us to send you our Newsletter and providing your first name lets us be on a first-name basis with you. 1. Purchasing access to e-learning courses offered by Edu & More requires provision of more detailed data in the form. We have marked all obligatory fields. 2. In case of card payments, including PayPal and automatic transfers, customer service is taken over by professional online payment system eCard. In this case eCard system is responsible for data provided in forms thereof. eCard forms have been placed on servers belonging to the system. They are encoded with appropriate, safe technologies. eCard S.A. guarantees top quality of services, in accordance with standards of international payment organizations – Visa, MasterCard and American Express. 3. Contact details concerning persons included in mailing lists of Edu & More are not available for entities which commission distribution of commercial e-mails. 4. Commercial information is filtered at a highest possible level, its size is limited and it is sent rarely. 1. Website collects information provided freely by the user. 2. Moreover, the website may save information about connection parameters (time, IP address). 3. Website may also save information which will make it easier to link data in the form with an e-mail of the user filling in the form. In such a case, the e-mail of the user is shown inside the URL address of a page which includes the form. 4. Data stated in the form are not made available to third parties, unless consent of the user is granted. 5. Data stated in the form are processed in the way resulting from a function of the given form, e.g. in order to process a lesson inquiry, Polish language course or request for business contact function. 10. Cookies are IT data, text files in particular, which are stored in a terminal unit of the website user, and they are devoted to using webpages of the Website. Cookies usually include the name of the webpage they come from, time they are stored in the terminal unit as well as a unique number. Content of cookies does not allow user identification. Personal details are not processed or stored using these files. 11. Website operator is an entity placing cookies in the terminal unit of the website user and gaining access thereto. - authenticate a registered user and store the so called session key. Thanks to this solution, only single registration is sufficient to have access to the whole course (all lessons). Cookies can be used to store control information in order to prevent abuse and illegal authorisation within the platform. 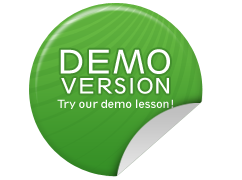 - store preferences on the platform and positions in lessons. Cookies may be also used for some online learning tools or as an aid to register progress on the platform. 13. Within the website, two basic types of cookies are used: session cookies and persistent cookies. Session cookies are temporary files which are stored in user’s terminal unit until he is logged out, leaves the webpage or closes application (internet browser). Persistent cookies are stored in user’s terminal unit by a specified period of time in cookies parameters or until they are removed by the user. 14. Applications used to browse the Internet (Internet browser) usually allow storing cookies in user’s terminal unit by default. Website users may change settings in this respect. Internet browser allows deleting cookies. It is also possible to automatically block cookies. Detailed information is included in help or documentation of Internet browser. 15. Limitations of using cookies may influence some functionalities available on website pages (including the platform and online courses of Polish). 1. Information on some types of user behaviour is logged in a server layer. These data are used exclusively in order to administer the website and to provide the most efficient hosting services. g. information on IP address. 3. The abovementioned data are used only to administer the server. 1. Data are made available to external entities exclusively within legally permitted boundaries. 2. Data which make it possible to identify a natural person are made available only upon consent of such person. 3. It may be the Operator’s obligation to provide information collected by the Website to authorised bodies based on legal requests in the scope resulting from such request. Cookies management – how practically grant and withdraw consent? 1. If a user does not want to receive cookies, he may change browser settings. Please be informed that disabling cookies necessary for authentication and safety processes as well as storing user’s preferences may hinder and, in extreme situations, make it impossible to use www pages. We have created courses which are available on this website, to make learning Polish possible in an effective way. Although teaching materials, exercises and tests have been prepared in accordance with the best practices concerning teaching Polish and e-learning, they have to be effective for everybody on a same level, and they depend on systematic work of students. Opinions expressed in comments and in any other way by forum members, are not always similar to ours.